Mesothelioma clinical trials can sometimes offer a silver lining to the dark cloud of mesothelioma confronting patients and their families. If you can volunteer to be a participant in a mesothelioma clinical trial, you might get to road test a new effective mesothelioma treatment not on the market yet. Or if you or your doctor keep current with news about mesothelioma clinical trials, you may find out about the results of recently completed mesothelioma clinical trials that have favorable results. Then you can try to seek out these treatments when they become available through prescription. Currently a drug called nivolumab that has been successful in treating other cancers has been the focus of several mesothelioma clinical trials. Also, known by the brand name Opdivo, it is one of an exciting current crop of newer drugs being studied to find out if they can help treat or prevent conditions other than the ones they were initially approved for. The active components in nivolumab were first discovered in 2000 to be effective in helping the body’s own immune system defend itself against the cancer process, a treatment method known as immunotherapy. By 2012, nivolumab had advanced through successful scientific testing from tests in laboratory mice to promising clinical trials in humans. Nivolumab received FDA approval for the treatment of a serious type of skin cancer called melanoma in December 2014. A year later, it gained approvals as a treatment for squamous cell lung cancer and for a type of bladder cancer. Then last year, nivolumab also officially was approved for the treatment of patients with Hodgkins lymphoma who have not had lasting results from initial treatments. Now because of its success in these other types of cancers, nivolumab is undergoing testing through mesothelioma clinical trials to find out whether it can also be an effective treatment for mesothelioma. So far results seem promising. Mesothelioma clinical trials are important hurdles that all medical treatments must clear to evolve from an isolated laboratory experiment to an accepted treatment. A clinical trial is just that – a trial. But instead of being found innocent or guilty, a treatment undergoes a clinical trial so it can be found to be effective or ineffective for treating a specific condition. Every clinical trial is basically a sophisticated science experiment. Human volunteers who agree to be study subjects are vital to clinical studies. In the preliminary lab phase, the treatments are tested on isolated cells and lab rodents. That determines whether the experimental treatment shows enough promise to move forward with a study on humans. To receive needed approvals, a treatment must be proved safe and effective in humans. But these studies are costly and complicated. Mesothelioma clinical trials can be challenging to recruit for because although widespread it is not as prevalent as other types of cancer. This can help increase your chances of participating in current mesothelioma clinical trials. Keep in mind that even if a clinical trial is far away from where you live, it may not be out of reach. There are nonprofit organizations that help provide or fund transportation and lodging for cancer patients and family members when a promising treatment is not near their home. Mesothelioma clinical trials with nivolumab as the test treatment do not occur as frequently as we would hope. So, when a clinical trial is currently recruiting, it may be a good idea to consider it even if it may involve some travel. Case in point is a clinical trial testing nivolumab in mesothelioma patients that is currently recruiting subjects according to the National Cancer Institute. It is worth noting that mesothelioma clinical trials recruiting volunteer subjects can be found on the U.S. National Institutes of Health clinical trials website clinicaltrials.gov which is updated on a regular basis. This current clinical trial for nivolumab is looking for 33 mesothelioma patients for whom surgery is not an option. The study participants will receive alternating treatments of nivolumab in combination with ipilimumab and just nivolumab for up to one year. The study participants will be tracked for progression-free survival every six weeks for up to 48 weeks. Then they will be followed for every 12 weeks for three years. Although the study is based in the Netherlands and being conducted by the Netherlands Cancer Institute, being a citizen of that country is not stated as a requirement for participation. What is required is a diagnosis of malignant mesothelioma that is inoperable with progression of the illness despite a round of treatment with medications such as cisplatin and carboplatin. Participation would have to be arranged with your physician’s help. Other mesothelioma clinical trials with nivolumab are both starting and ending. Each of these mesothelioma clinical trials is being closely observed by the media of the scientific community. Scientists at the University of Southampton and the University of Leicester seek to add to the growing exploration of nivolumab’s ability to treat mesothelioma. Media reports say that this clinical trial, which is being funded by Cancer Research UK and supported by nivolumab producer Bristol Myers Squibb, plans to recruit 304 patients, who have relapsed mesothelioma, from 20 sites in the United Kingdom. So, it seems unlikely that they will be recruiting mesothelioma patients from the U.S. The UK has a high rate of mesothelioma that has been increasing, according to a report discussing the new study. “Since the late 1970s, mesothelioma incidence rates have increased almost six-fold (497 per cent increase) in Great Britain,” it states. 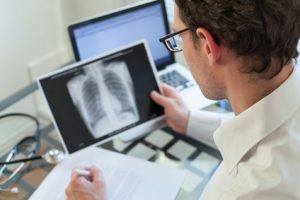 This study getting underway comes on the heels of a report in 2016 at a lung cancer conference in Vienna of a promising clinical trial of nivolumab (Opdivo) in patients with recurrent malignant pleural mesothelioma. “The Nivo-Mes trial demonstrated that immune-oncology in MPM with nivolumab is feasible, with limited toxicity, and can result in long-term responses lasting more than a year,” said the study’s lead researcher Paul Baas, MD, PhD, thoracic oncologist from the Division of Medical Oncology of the Netherlands Cancer Institute in Amsterdam, The Netherlands. Dr. Baas also will be heading up the follow-up study in the Netherlands now recruiting participants. Mesothelioma clinical trials can be thought of as links in a chain or an ongoing relay race. Every time one link or one part of the race is completed, those who participate are helping to find new answers and passing that knowledge along to someone else. That alone makes mesothelioma clinical trials worth being a part of or reading about to keep up on this compelling changing area of mesothelioma medical science.